Puget Gold Apricot - Prunus armeniaca sp. Large, somewhat elongated fruit. Orange skin, orange flesh with a very good flavor. Developed at Washingtosn State University. 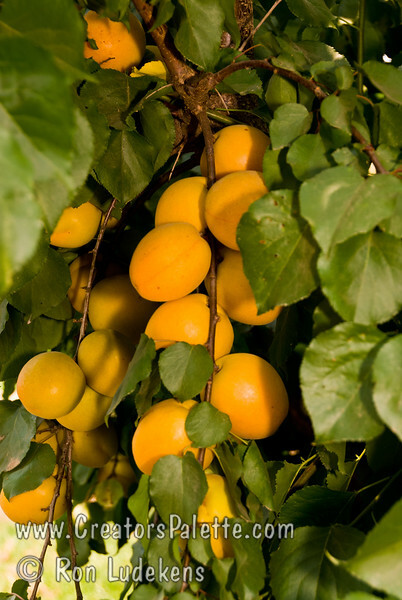 Sets and sizes fruit in cool, frosty spring weather where other varieties fail. Ripens: August. Approximately 700 chilling ours required.